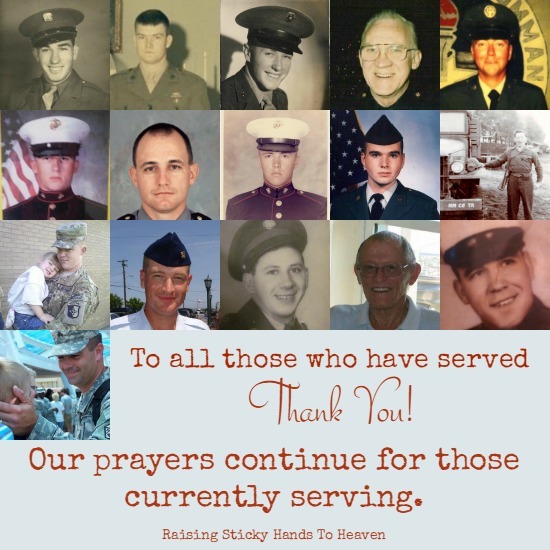 If you are currently serving in a branch of the United States Military, please know that you are always in our prayers. 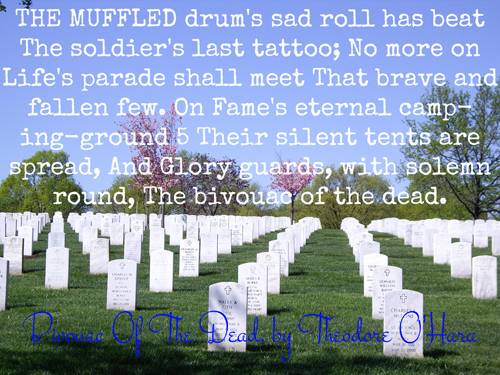 THE MUFFLED drum’s sad roll has beat The soldier’s last tattoo; No more on Life’s parade shall meet That brave and fallen few. On Fame’s eternal camping-ground 5 Their silent tents are spread, And Glory guards, with solemn round, The bivouac of the dead. Many people do not understand the difference between Veterans Day and Memorial Day. That’s alright! Don’t be so harsh on them. It is not their fault that they have not been told. Even coming from a military family, in my early years I thought it was a day to remember all that had passed. Later on, I thought it was a day to honor all military that had passed away. 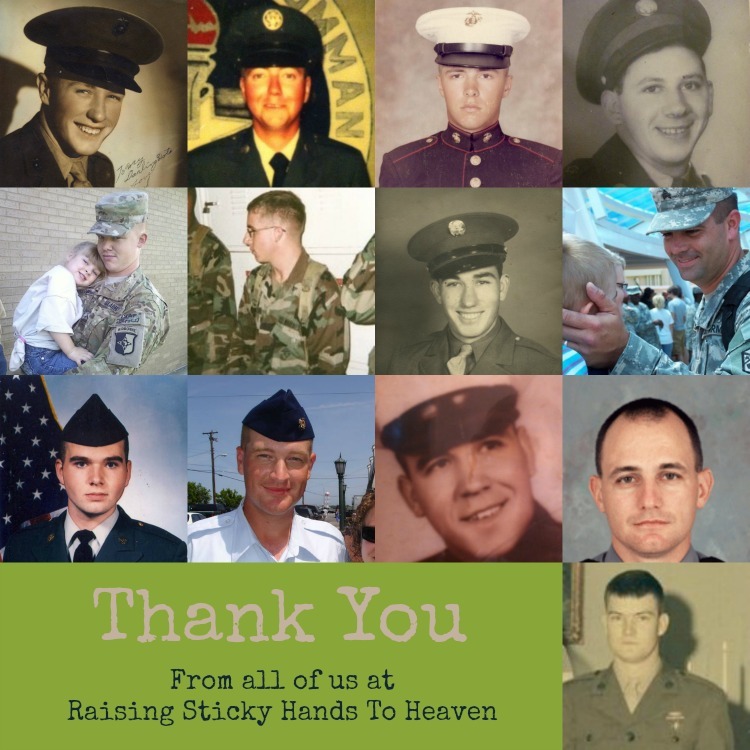 Then came the internet, where all confused people join together, and being one of them I thought it was a day to just honor all in the military past and present. After nearly joining the military myself and then marrying a veteran, the true meaning of Memorial Day was quickly brought to my attention. Memorial Day is actually a day to honor all members of the military that passed away while in service, particularly those who died in battle. 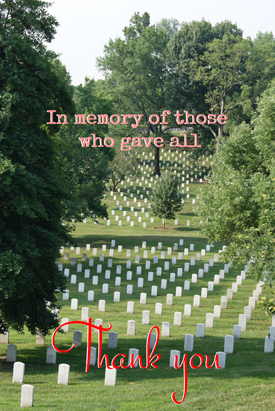 That is why we often quote, “All gave some; some gave all” (words that were first documented by Howard Osterkamp after the Korean war, but are said to go back further…) on this day. So if you walked up to a veteran or member of our military today and said, “Happy Memorial Day!”, and then did not receive the reaction you were expecting, this is why. 7 Facts About Memorial Day on Yahoo! Lest We Forget: All Gave Some — Some Gave All on Yahoo! 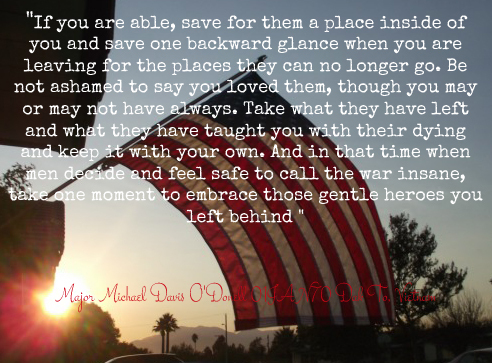 In memory of those that gave all… Thank you to each and every one. For truly, our lives would not be what they are today were it not for them. In honor of Veteran’s Day, the girls and I wanted to take a moment to give recognition to those in our lives who have served in the military. Thank you, not only to these men, but to anyone and everyone who has, is, or will serve.